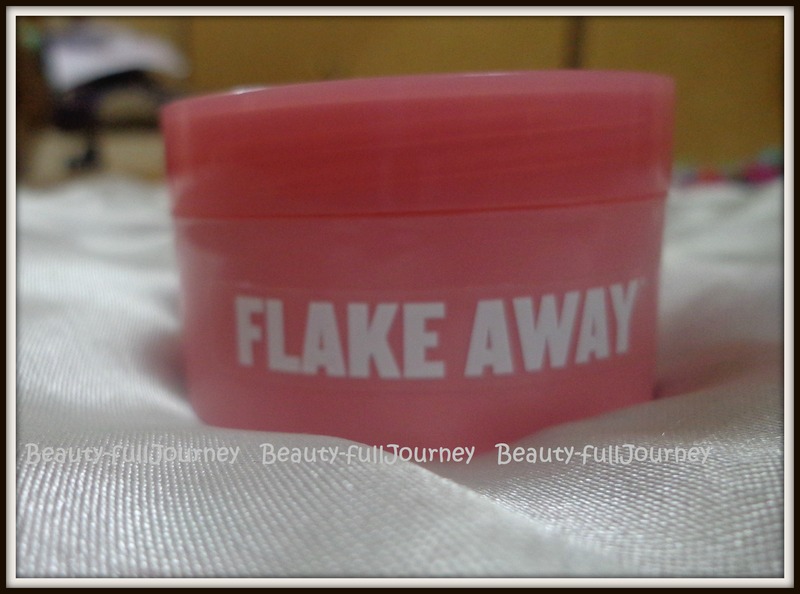 REVIEW: Soap & Glory Flake Away Body Scrub. 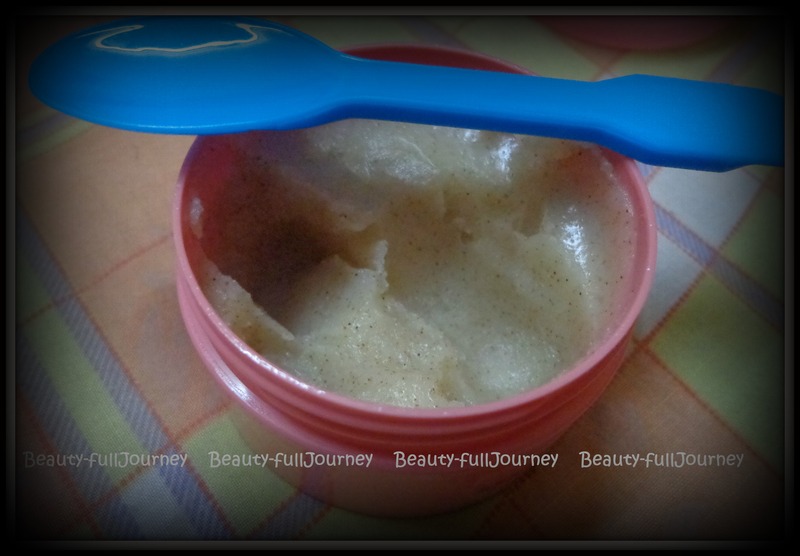 Soap & Glory Flake Away Body Scrub. Price:I bought it as a part of the Soaper Heroes kit, the full size is available for Rs.1250 for 300ml I think, I’ll update the price here when I confirm it. This is the last product from my Soaper Heroes kit and it’s the best! 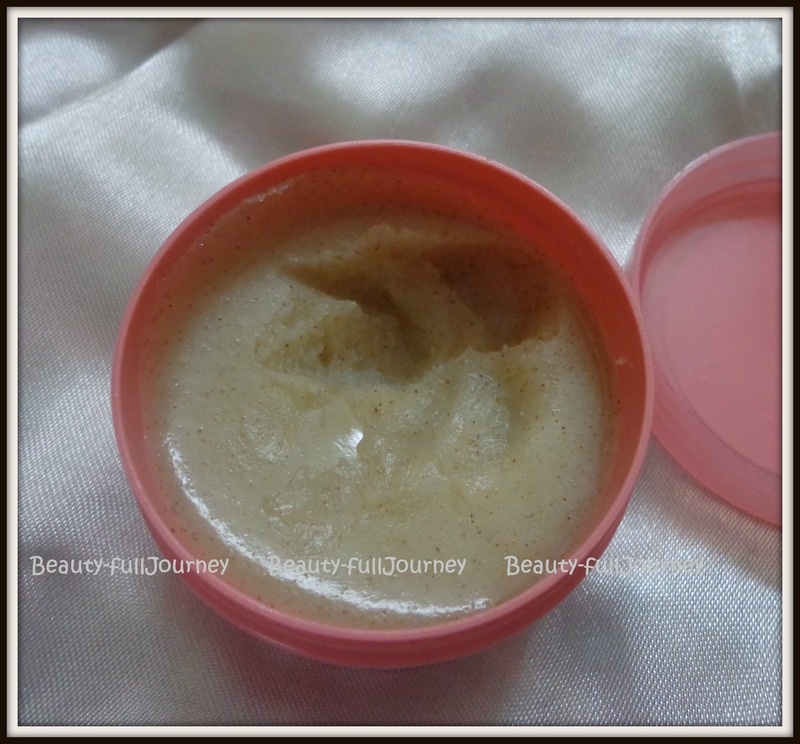 This scrub comes in the same packaging as the righteous butter, a simple pink tub of 50ml. The tub is very sturdy and also travel friendly. The scent of the scrub is of the same family as the other products, the Original Pink fragrance. But yet, this scrub smells a bit different from the rest and this has become one of my most favourite scents in any bath and body product EVER!! The scent is so addictive to me personally that sometimes, I just take it out to sniff at it. 😛 I am unable to describe the scent exactly but it’s quite fruity and oh-so-amazing! Scrubs packaged in a tub like this can easily get contaminated so I use my fingers to take this out and I use an icecream spoon to take out some product from the tub. The scrub isn’t harsh on the skin at all. The scrub has salt granules and also some seed like granules, on the tub its mentioned that it has peach seed! Since the scrub has salt granules, it is better if those with sensitive or irritated skin do not use this much. The scrub has a good amount of the granules which do an excellent job of exfoliating. They do need quite some rubbing in to break down, but nothing bothersome. After washing away the scrub, skin in instantly amazingly smooth and soft. The skin also feels moisturized, which is due to the presence of Shea butter I guess. Although in winters I do follow this up with body butter but in summers no moisturizer would be needed for my skin, which isn’t dry in summers. I don’t know how it would fare with oily skin types but I don’t think it should be a problem but it’s an absolutely great scrub for normal and dry skin types. This scrub is one product I would definitely repurchase. I probably won’t buy the bigger size i.e.300ml tub because I feel it would be an inconvenient size and also might get contaminated. 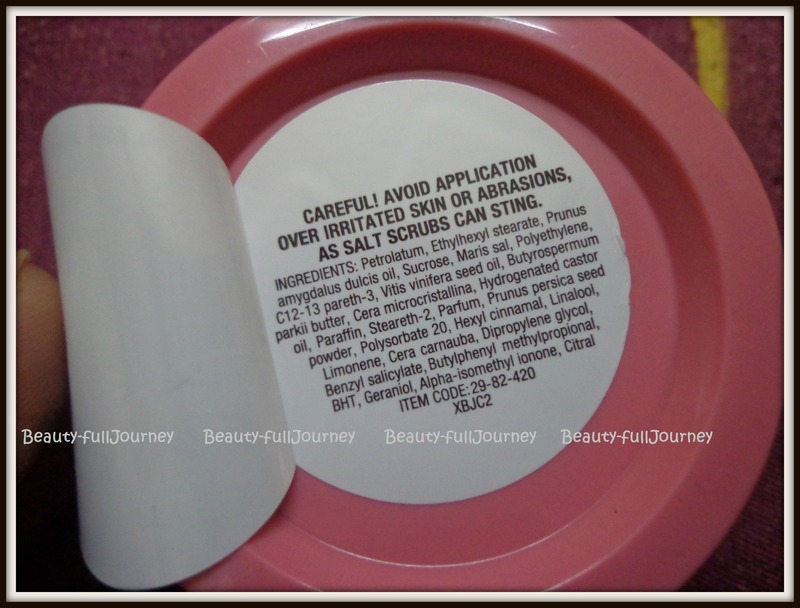 I would also love to try other scrubs from Soap&Glory. 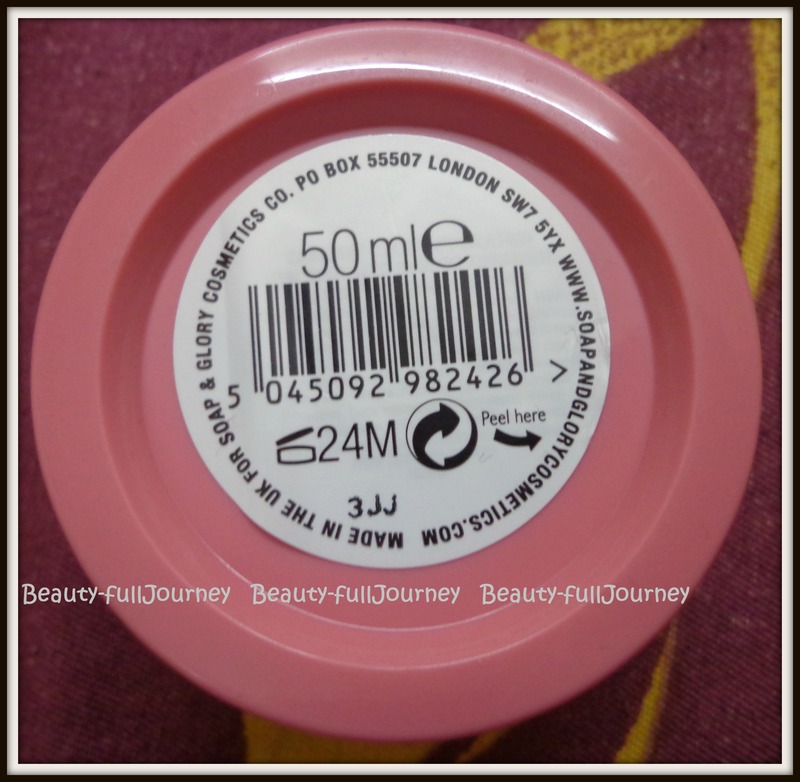 Although it is expensive but it is definitely worth it and I would definitely repurchase. Overall, this is a great scrub which would be great for normal and dry skin. It exfoliates very well and leaves skin feeling smooth and soft. It also smells great and is good value for money. Highly recommended by me! 1) Does a great job of exfoliation. 2) Has a good amount of granules. 3) Granules are not harsh. 4) Attractive, sturdy and travel friendly packaging. 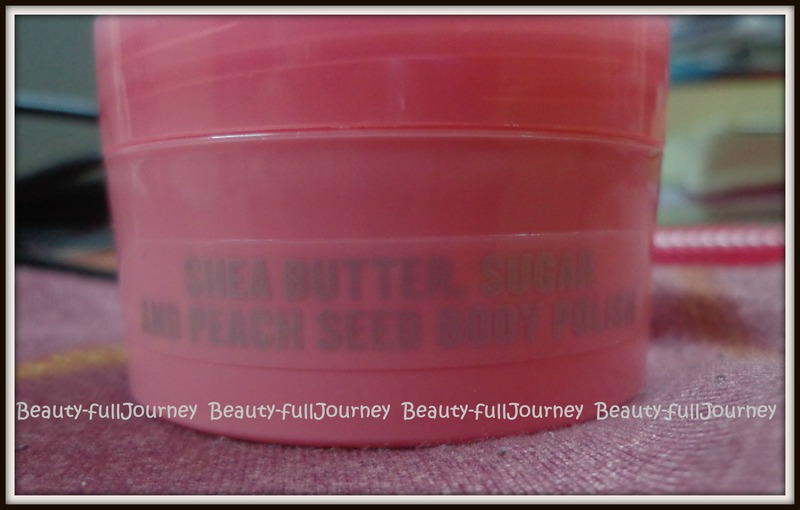 6) Contains shea butter which is great for moisturization. 7) Leaves skin soft and smooth. 8) Doesn’t dry out the skin. < Previous My favourites – January 2013.